Net Zero Energy showroom status achieved without using power from the grid. 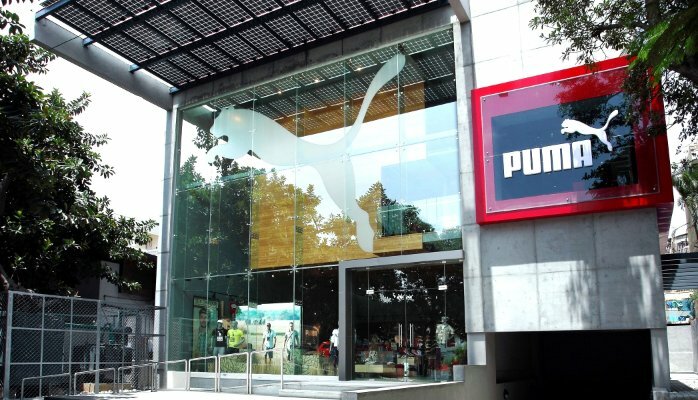 PUMA, a leading global casualwear and sportswear brand, is committed to sustainability as a part of its corporate philosophy. PUMA wanted to build a showroom which is ‘beyond green’ and aspired for a Net Zero Energy Showroom. This ambitious target was coupled with the universal rule of a retailer ensuring comfort of shoppers with no compromise on the global standards of store atmosphere, air quality, ambience, lighting level, thermal comfort, etc., within limited space leveraging innovation. Air-conditioners and heaters replaced by Earth Air Tunnel (EAT) system which provided Thermal Comfort with less energy consumption. Integration of Solar PV Panels done uniquely for use of Renewable Energy. Thermal Comfort of 28oC against 36oC in summer, and 22oC against 14oC in winter achieved without the use of air-conditioners or heaters. 4 times lesser CO level achieved than conventional air-conditioned space.